I didn’t eat spicy foods when I was growing up. I lived in Maine, the state which wins the award for being the least culturally diverse, so I just wasn’t exposed to spicy foods. But as an adult, I have grown to love them! 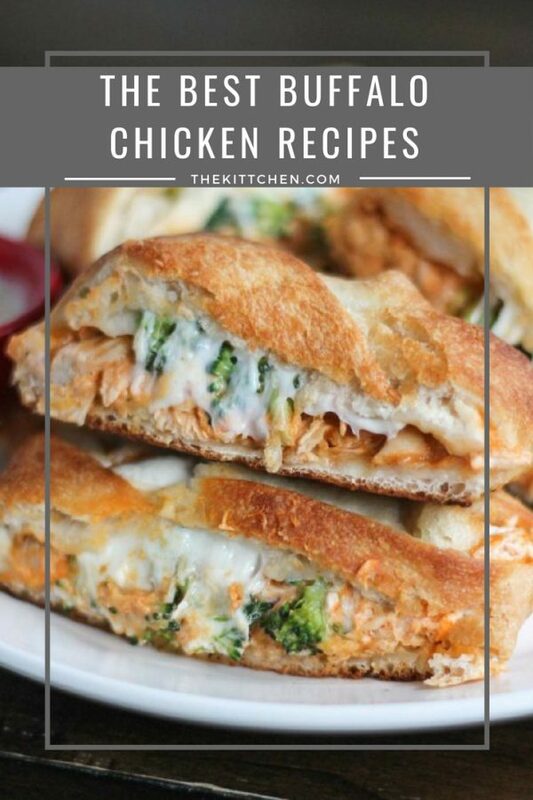 I have become obsessed with buffalo sauce, and I figure that I am not alone, so today I am sharing the best buffalo chicken recipes! Here we go! 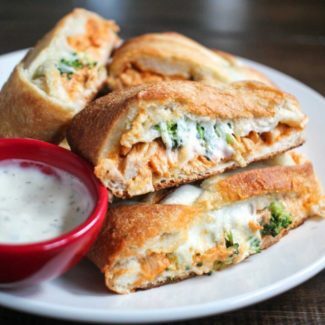 Buffalo Chicken Calzone – This delicious calzone can be served as a meal or a snack. The broccoli adds a fresh flavor and helps the calzone qualify as a meal since it includes a veggie. 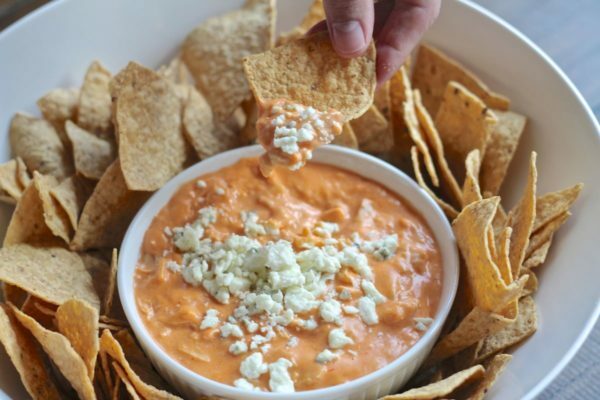 Buffalo Chicken Dip – This creamy cheese buffalo chicken dip is addictive. 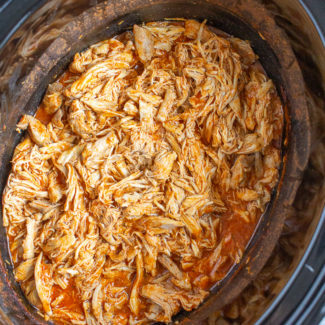 Shredded chicken is drowned in a cheesy sauce seasoned with buffalo sauce. Make this as spicy as you want! If you know the bar Joe’s on Weed Street – this dip is a copycat of their recipe. 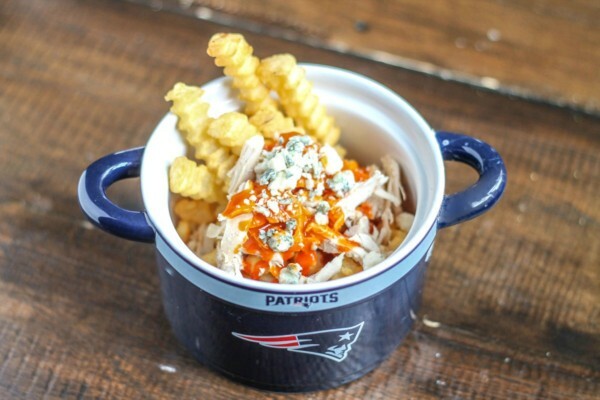 Buffalo Chicken French Fries – I came up with the idea of serving French Fries with a variety of topping during football season, and I loved the combination of chicken, buffalo sauce, and blue cheese over fries. 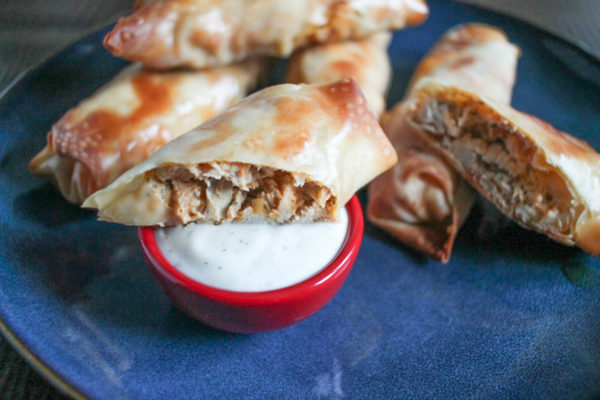 Buffalo Chicken Eggrolls – Soak chicken in buffalo sauce, add a little cream cheese, ranch dressing, and Mexican cheese, and roll it up in an eggroll wrapper and you have a tasty little snack. I like to dip these eggrolls in ranch dressing, because the buffalo sauce and ranch dressing combo makes my tastebuds do a happy dance. 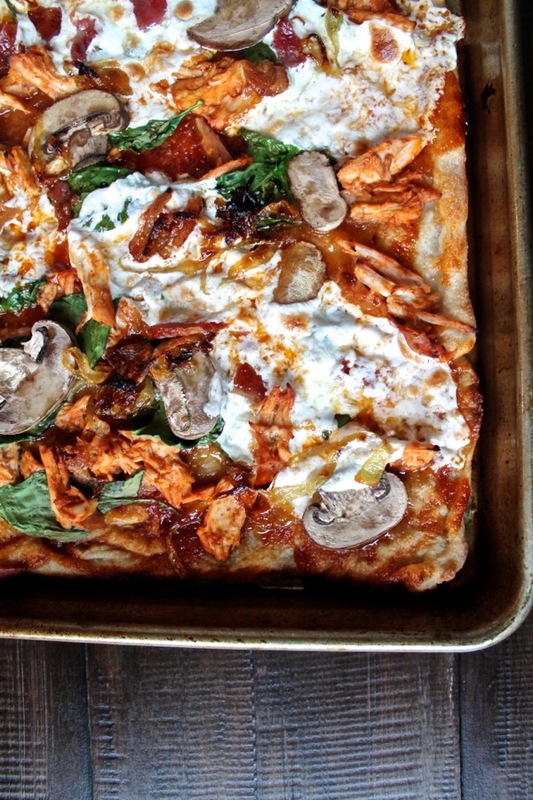 Buffalo BBQ Chicken Pizza – This pizza is made with a mix of buffalo sauce and barbecue sauce, and it is topped with chicken, mushrooms, spinach, caramelized onions, and mozzarella. 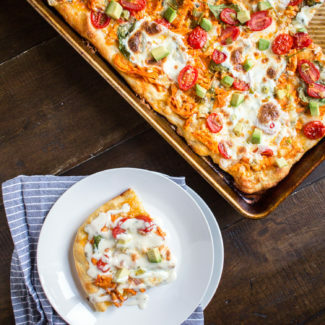 Use rotisserie chicken and a store bought pizza crust and you can make this meal in under 30 minutes. 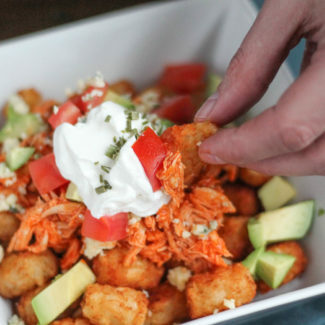 Buffalo Chicken Tot-chos – I hope we can agree that tater tots taste better than tortilla chips. 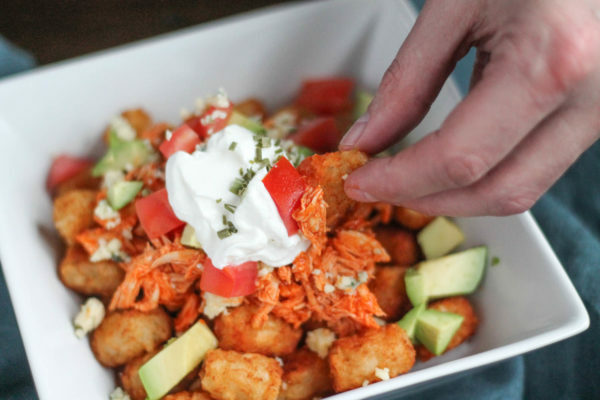 Crispy tater tots covered with buffalo sauce-soaked chicken, blue cheese crumbles, tomatoes, avocado, and sour cream is an indulgent snack. 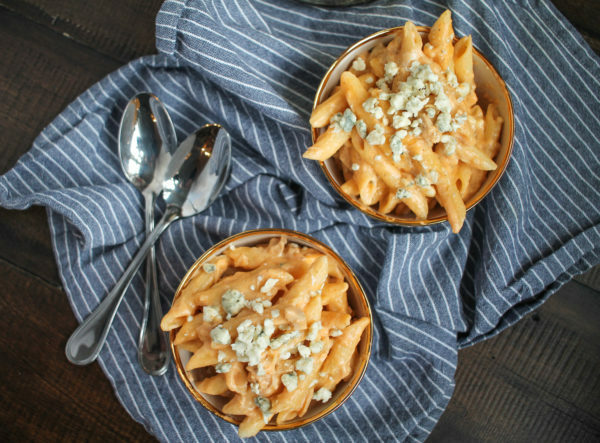 Buffalo Chicken Mac and Cheese – This combines two of my favorite foods. 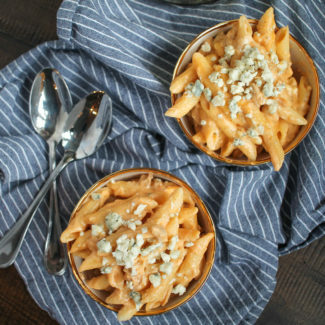 Buffalo Chicken Mac and Cheese is creamy, cheesy, spicy, and loaded with chicken. 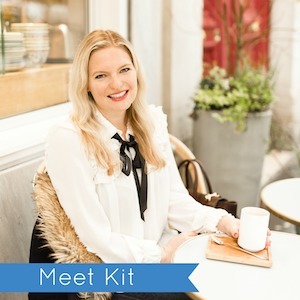 It can also be made in under 30 minutes! 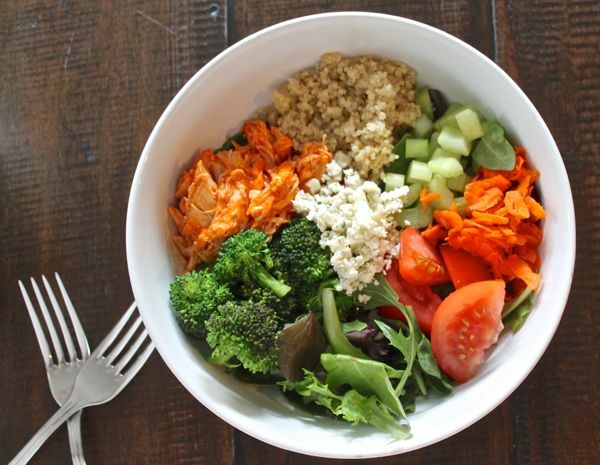 Buffalo Chicken Quinoa Salad – This is the healthiest recipe on the list, and it is one of my favorite lunch recipes. 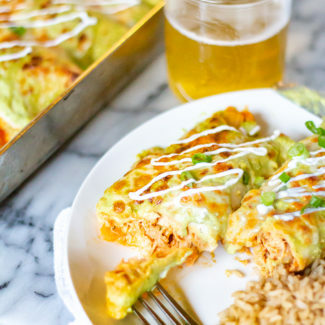 I love this recipe because you can prep the quinoa and chicken for the week and then quickly throw together lunch during the week. Plus, you can mix things up by adding different veggies. 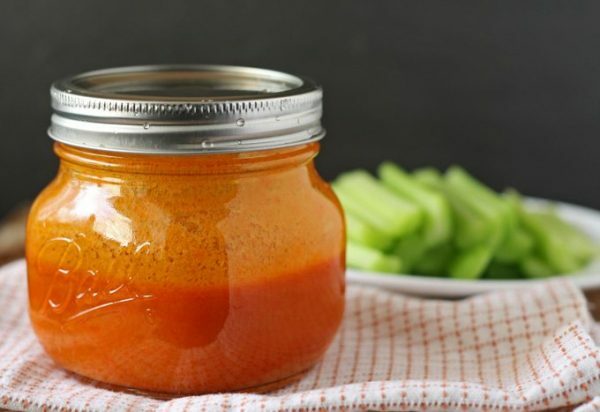 If you want to make Buffalo Sauce from scratch – my friend Jenny has the best recipe. 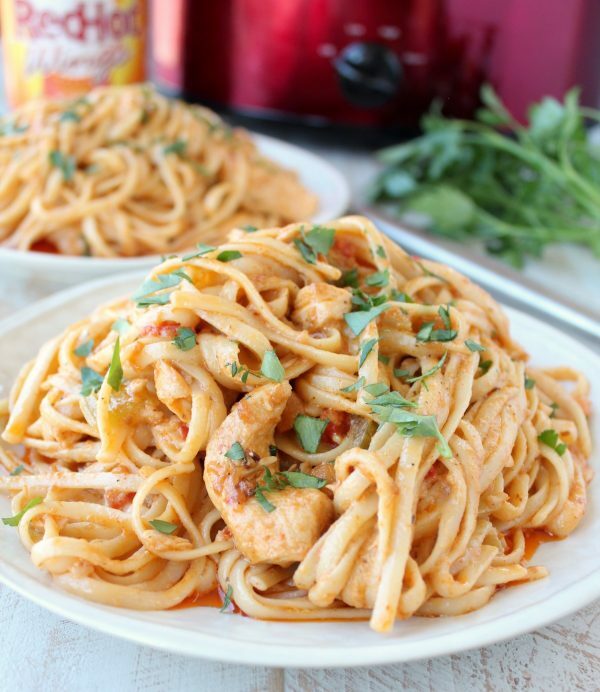 My friend Whitney has a mouthwatering recipe for Crock Pot Buffalo Chicken Alfredo. 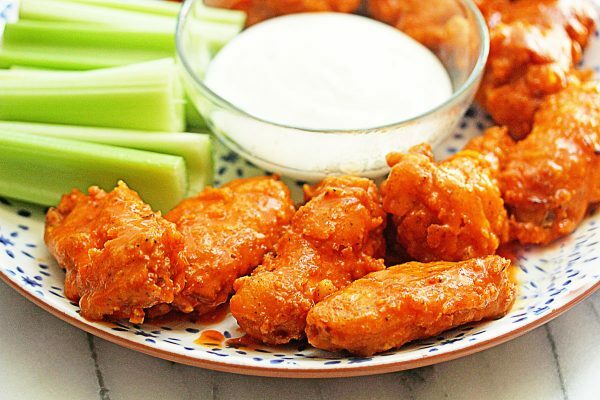 And Jocelyn has got a recipe for classic Buffalo Wings! 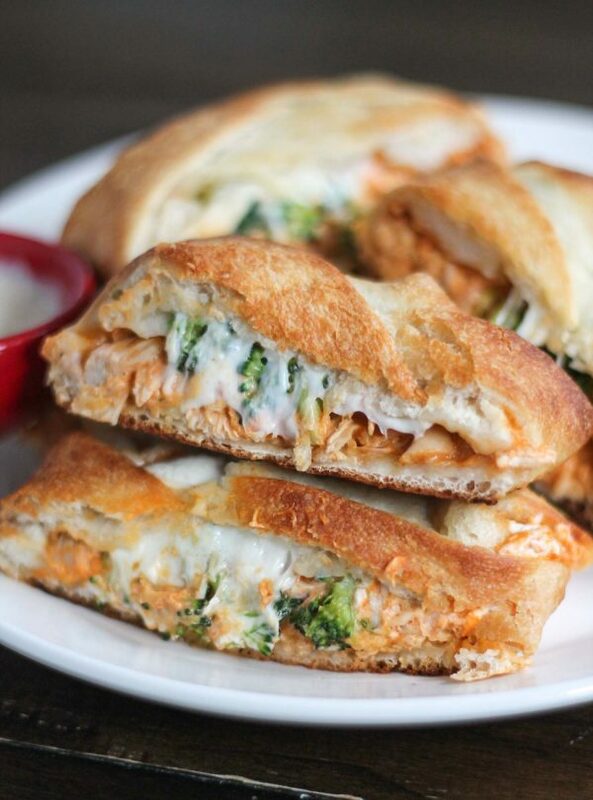 Hopefully this is enough to satisfy all of your buffalo chicken cravings!